A brand-new race series, the Harness Million, was announced on Thursday. The series, a partnership between New Zealand Bloodstock Standardbred (NZBS) and the New Zealand Sires Stakes Board (NZSSB), will be open to horses that go through the sales ring. In announcing the new stakes race set-up, Martin Pierson from NZSBB remarked that it was an advancement on current or previous series’. “We’re excited about partnering with NZB to offer an enhanced Series,” he said. Buyers of both weanlings and yearlings, sold at their respective sales, will be required to make a nominal $350 + gst payment on sale day. They then have 42 days to solidify that nomination with a one-off $1800 + gst payment entry fee. This will create $1 million in prize pools for any individual crop. Races will be set for two-year-old and three-year-old pacing colts, geldings, fillies and trotters, with four-year-old and older conditioned races for pacing entires, geldings, mares and trotters also accommodated. NZB’s Standardbred Manager, Peter Lagan, said streamlining the payment process should make it a whole lot easier for everyone involved. “We see the streamlining of the Series as an important factor in its long-term success. Harness Racing New Zealand’s Racing and Marketing Manager, Darrin Williams, welcomed the new series. 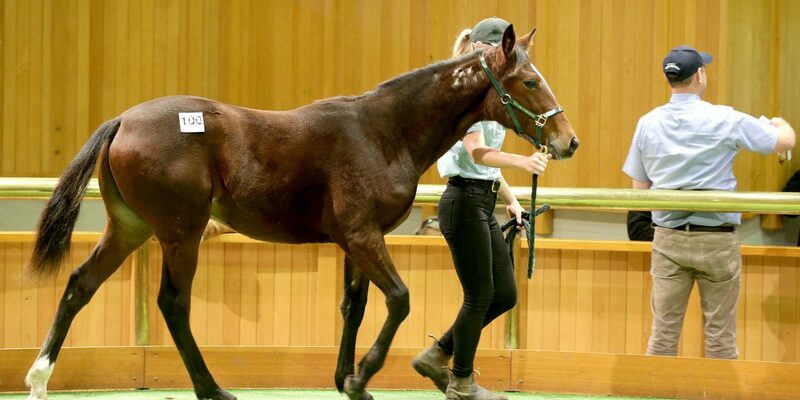 “HRNZ are excited to see the new concept from NZBS which supports those horses sold at the yearling sales with races for both two and three-year-olds, plus older racehorses, going forward.